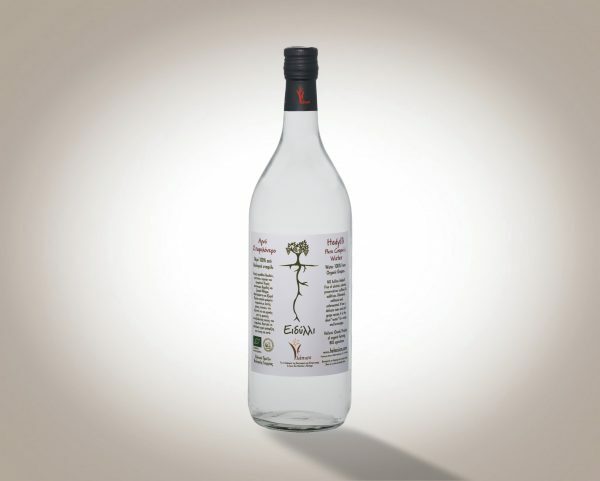 Has a delicate taste and soft grape aroma. Hasn’t been added preservatives or any other kind of additives, is 100% from grapes! Alcohol, calories and sugar free! Hedylli is very pleasant and delicious organic beverage that aids the immune system accelerates digestion and assimilation of food, facilitates the body to produce energy, restores the natural micro flora to the skin and to the digestive system. It gives natural health to the human body. 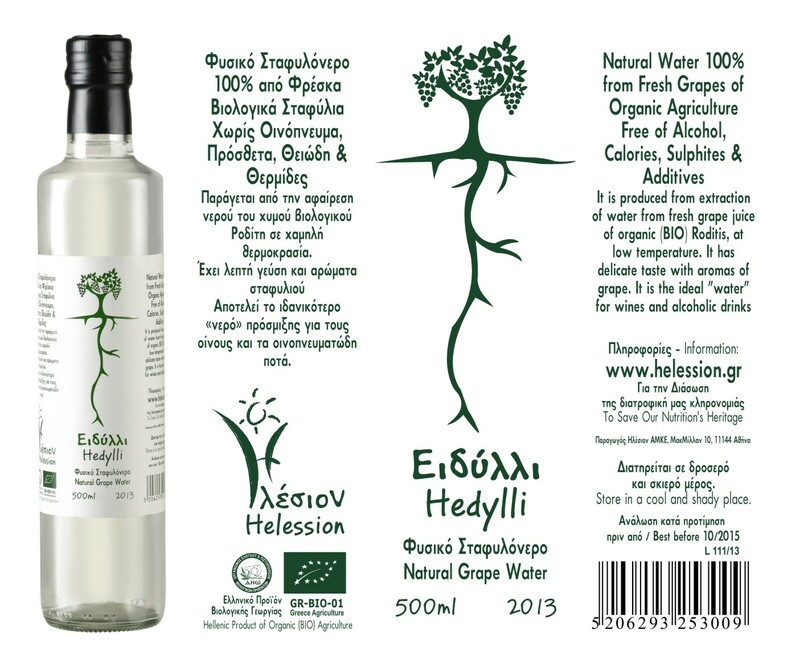 Hedylli is produced 100% from fresh organic grape’s juice and it is unheated and unfiltered. It is free of calories, sugar, alcohol, preservatives, chemicals and colors. that extracted at the… environment’s temperature! At nights, when all creatures rest, a secret conversation takes place upon the wide leaves of vines, under the supervision of God Dionysus. 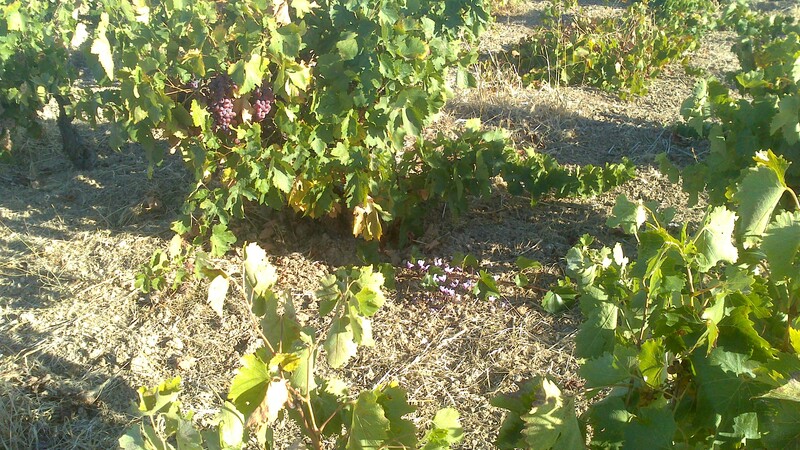 As summer moves on, the grape bunches start to ripe, and a plethora of valuable ingredients slowly passes in the grapes, and begins their silent processed by the new environment. 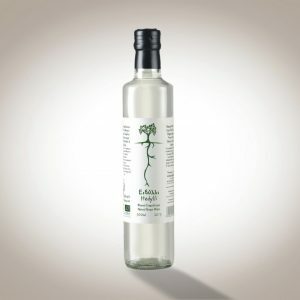 Ages ago, next to the proud and famous ingredients that “endow” the grape, a little humble dewdrop asked permission to enter. At the beginning God Dionysus told her that her place was at the leaves and peel, and only at dawn or after the rain; but the dewdrop begged him to let her get into saying that she can contribute something valuable after the harvest. -“What do you mean valuable?” asked the wine’s God. -“I will be the calm force of the wine”, she answered. “I will fill the pure oenos (wine) with oxygen, aromas and many ingredients to be custom wine of the humans. I will bring calm to the wine as the feast develops, so that humans will not get drunk and misbehave”. -“If you get in, you have to be separated from the grape before or right after the grape harvest, so that the wine can be preserved”. -“Agreed, but I will reunite with wine’s friends in their glasses…We will be an invincible team in ingredients, aromas but also purity”. Then, the God Dionysus smiled and showed her the way. Ear witnesses of the above dialog were people of Helession. Despite the passing of many years, the dewdrop, that had kept her promise, has a prominent place at the vines, in the glasses… but also inside the hearts of humans. 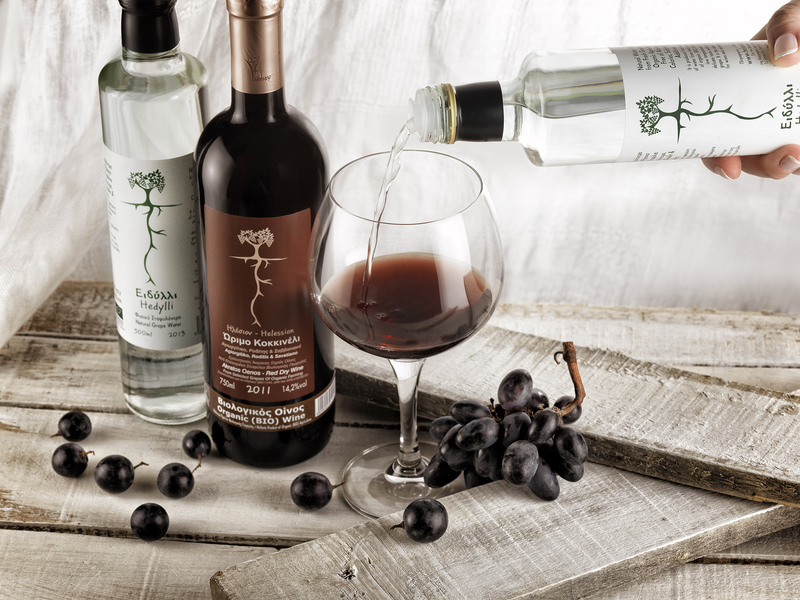 After the fertile… blending with the pure wine, the grape’s dewdrop became known as “Hedylli”. The natural organic acids and probiotics accelerate the digestion of food in the stomach and generally assisting the human digestive system (disintegrate lactose, gluten, etc.). 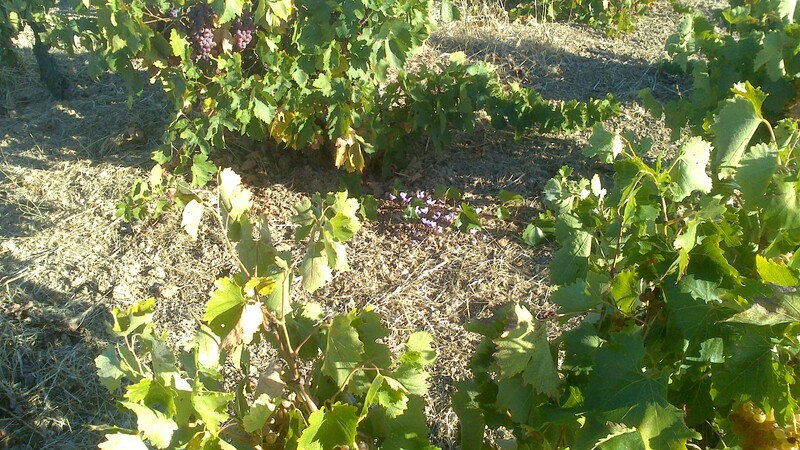 The polyphenols of the grapes helps in a natural way the human health system. Have cardio protective, anticancer, antioxidant, anti-allergic, anti-inflammatory and anti-aging properties. They present important anticancer action by eliminating the danger of inflammation and the mutations of the DNA(). The platelet adhesion, thus contributing to the reduction of atherosclerosis and coronary disease. The natural organic acids, tartaric and malic acid, are exceptionally effective chelate elements that help at the better absorption of the natural metals of food. 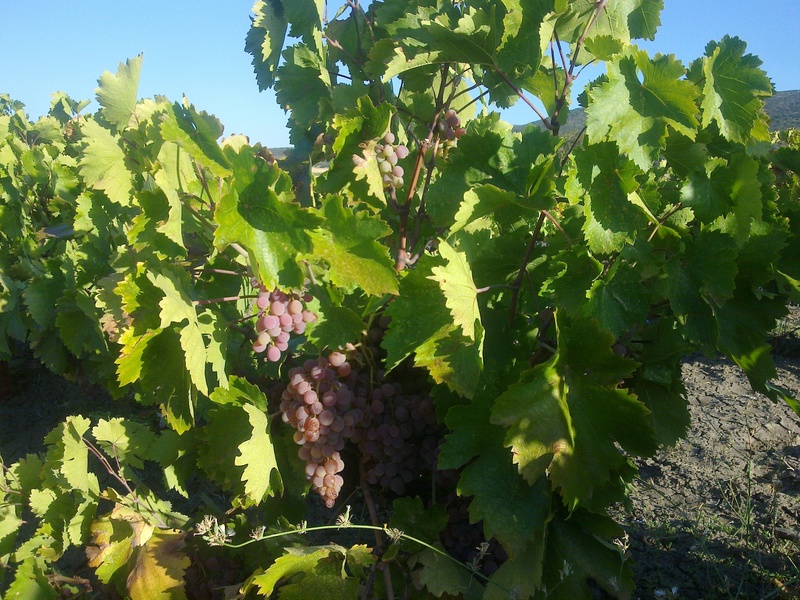 The tartaric acid is a natural organic acid, one of the most widespread fruit acids and we mainly find it in the grapes. It commits the free metals thus contributing in the better absorption of food ingredients from the human organism, and at the same time it helps remove ions of heavy metals that are hazardous when they are free inside the organism(). Malic acid helps the body to produce energy, even in conditions of oxygen shortage. It is present in all living cells, and it is necessary for the transformation of sugars and fat into a source of energy for a healthy muscular function. Moreover, it acts as a catalyst for the Kerbs cycle(). Malic acid is greatly effective in the detoxification of the human organism from heavy metals and as a result it helps those who suffer from Alzheimer, Parkinson etc(). The probiotic micro organisms refer to a big group of micro organisms that are beneficial to the human body and are widely spread in nature; they are also found in the human digestive system. These micro organisms survive during their stay and during their passage from the gastrointestinal tract, because they are not affected by the acidic environment of the stomach and the bile. They ameliorate the natural intestinal flora by preventing the development of pathogenic bacteria, and by favoring the development of micro organisms that are beneficial to humans. Moreover, they decrease the PH of the intestine and participate in the disintegration of food, thus producing many nutritional elements beneficial to humans (polyphenols, amino acids, vitamins etc). They help both relieve and prevent of stomach disorders, such as gastritis and ulcer. They help both restoration and improvement of the natural flora of intestine at an everyday basis, even after we have taken antibiotics. They help in many other digestive problems, such as the syndrome of the irritable intestine, the inflammatory diseases of the intestine, the intolerance in lactose and gluten, the celiac disease, etc. They even help preventing and curing gynaecological problems (fungal infections, vaginitis, cervicitis, cystitis). They enhance the peristaltic movement of the intestine. They help stop the mutagenicity of the intestine’s content, thus decreasing the intestinal tumors. They are fighting against streptococcus inside the mouth, that is responsible for the creation of dental decay, periodontitis. They are restoring the natural micro flora of the skin. They can also sooth the symptoms of stress disorders and depression(). 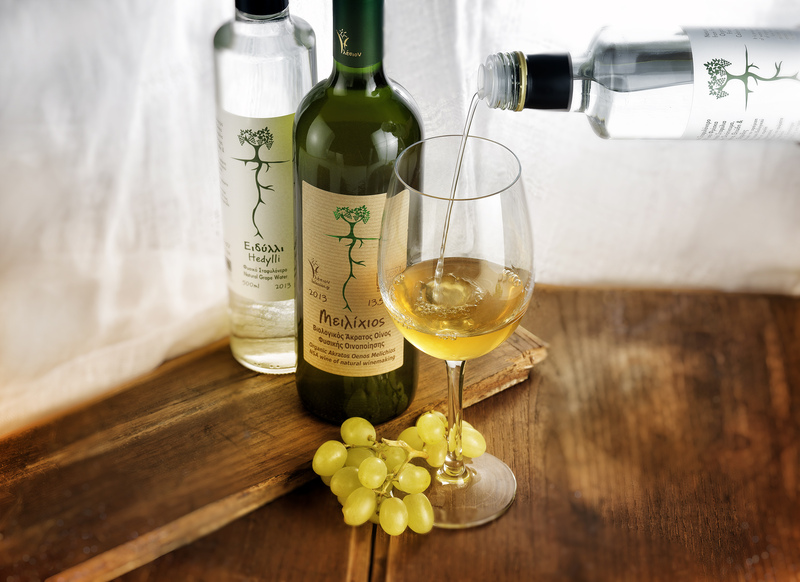 Even though Hedylli is almost free of salts, it is a very pleasant biological beverage with a fine taste of grapes. It is a healthy substitute for water and it is a unique beverage for children, athletes, patients and old people. It positively enhances human’s immune system. 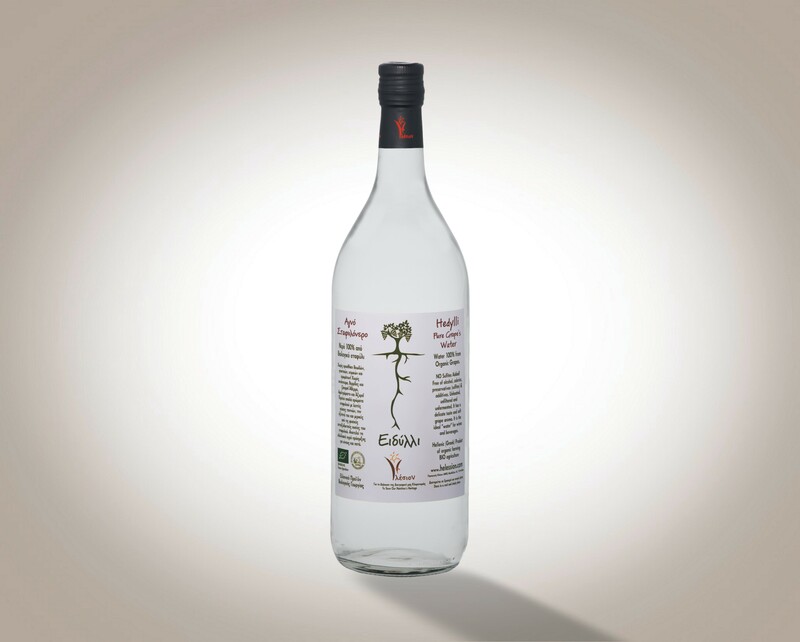 It constitutes the most ideal “water” for mixing wine and other alcoholic beverages, giving them life that produces new aromas within the same drinks! It restores the natural micro flora of the skin, and this is why it is used for removing soap remnants, and make-up. It is also used as a basic ingredient in many products of skin care (body, eyes, face, hair, etc). 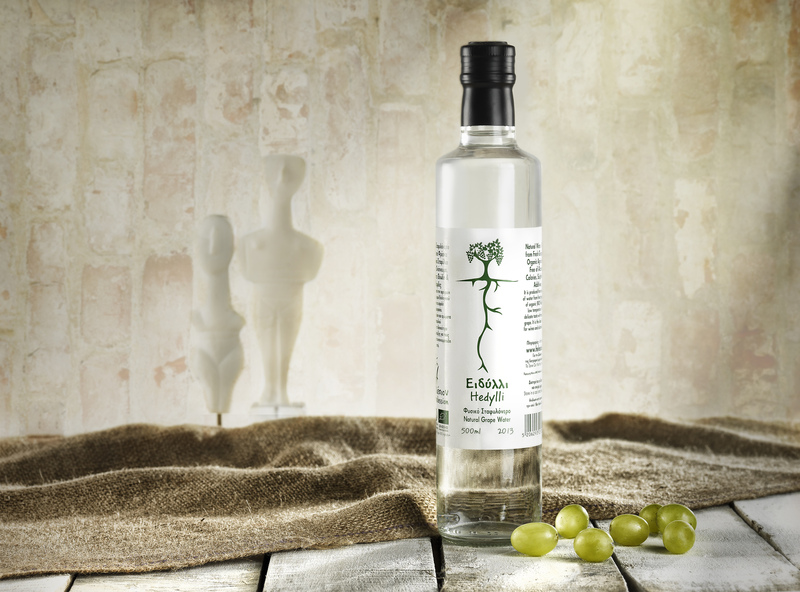 In many occasions it replaces vinegar, thus giving very fine aromas of grapes. It does not alter the taste of food, that vinegar does. Thus we have an amazing, healthy and innovative product, with a registered diploma of patent! Hedylli… The Dewdrop of Having! The effect of grape polyphenols to the action of topoisomerase I enzyme, showing increased activity in tumor cells. The suspension is considered indication chemopreventive / anticancer activity. The results of several studies have shown that plant grape polyphenols inhibit the action of topoisomerase I. Inhibition of this enzyme is one of the mechanisms underlying the antitumor activity of extracts from grapes has been observed in many studies. (Source: “STUDY OF BIOLOGICAL PROPERTIES OF EXTRACTS AND VEGETABLE POLYFAINOLES FROM GREEK VARIETIES OF VINE (VITIS VINIFERA)» UTH). 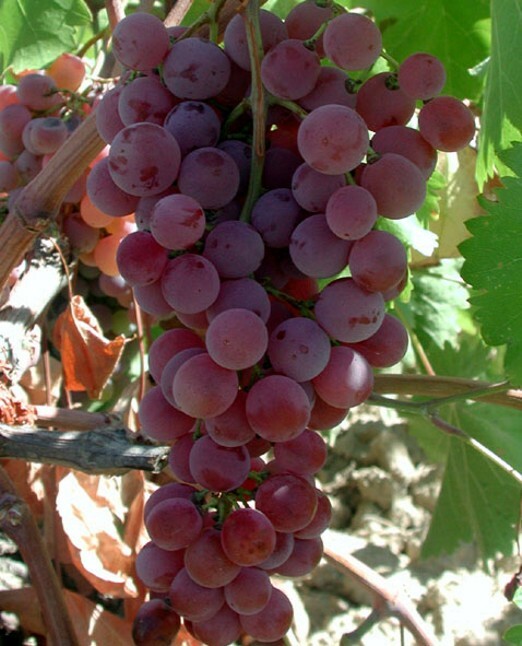 Another ingredient of grape also bind free metal form stable anionic complexes which are stable in neutral and alkaline solutions up is tartaric acid. Presence of excess tartrate anions avoid hydrolysis of metal cations such as e.g. of Sn (II), Sn (IV), Bi (III), Fe (III). 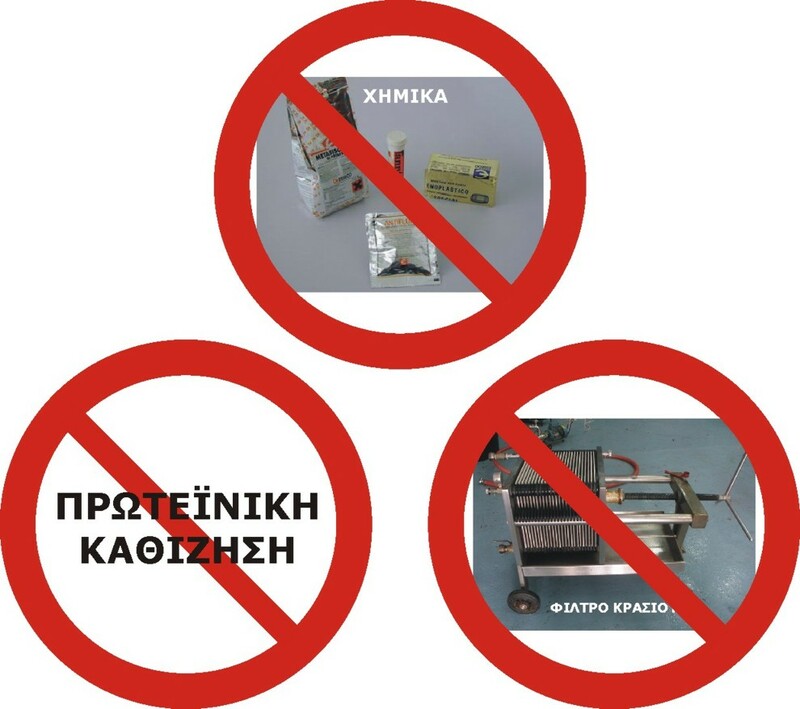 (Source: Demetra Spanos, Chemical, http://dimitra-spanoy.webnode.gr). Malic acid supports energy production, the body needs and energy producer in the mitochondria (adenosine triphosphate ATP). It is also an intermediate of sugar metabolism cycle in living organisms of great biological importance (the Krebs cycle), part of the process by which living organisms convert food into energy. Furthermore, it is the only component which participates in the above process, which is associated beyond doubt with the physical activity and the production of energy in the human body. The physical strength of people directly associated with a significant increase in enzymes that cause the metabolism of malic acid thus far to move several nutritional supplements based on this component. (Source: Wikipedia Malic acid). It has been shown that patients with Alzheimer’s disease and Parkinson’s disease exhibit high aluminum concentrations in the brain. Malic acid is a powerful detoxifying the body from aluminum and helps to remove heavy metals from the body. What do the latest studies about them? That can be used to treat allergic rhinitis and allergic eczema, and that when consumed by pregnant and lactating women can prevent the onset of allergic disorders in children, because the concentration is increased in breast milk immune factors, such as cytokines. It is also possible to provide protection against resistant Staphylococcus aureus – a bacterium that is a major cause of serious hospital infections. The assimilation of iron, which forms insoluble hydroxides at neutral pH, facilitated by many bacteria and fungi from the derivatives of siderophores, which chelates iron and facilitate the transfer of a soluble complex. (Source: https://e-class.teilar.gr/…/ NOTES MICROBIOLOGY).